Buy advertised Goods — Do not accept substitutes 457 The Silver Lining Extremists There was once a young maiden named Rose,Fond of Fashions extreme furbelows; And a new silhouette Though she knew silly, yetShe would straightway adopt if she chose. 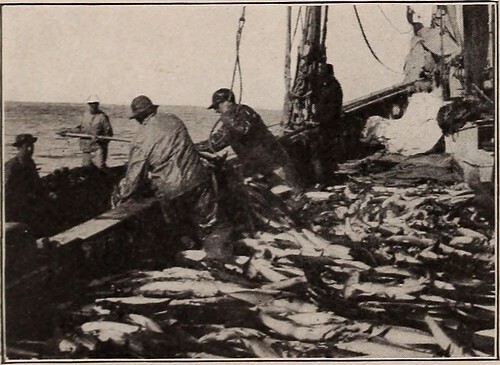 So by freaks which old Dame Fashion hath,Rose would sometimes seem thin as a lath, In some style like the willow; Then again, like a pillow,She would look as she walked down^the path. When it came to the waist-line, ah, me!You could never tell where hers might be; For one day it would soar, And the next it would lower,From perhaps F in alt to low G. And no wonder it was, I suppose,At the Opera, then, all the beaus Who regard with esteem, Girls who wear the extreme,At the sight of Miss Rose, rose in rows! —Blanche Elizabeth Wade. Adapted from Mad Hungry Cravings by Lucinda Scala Quinn, I stuffed each sweet, fruity cookie (which I added oats to fo texture) with half a dark chocolate truffle instead of adding chocolate chips. The twist was a great unexpected treat for my banana loving dad! Whisk together the flaxseed and warm water, let stand 10 minutes. In a large bowl, cream the butter, shortening, salt and sugars. Add the flax mixture, banana and vanilla, beating well. Add the flour, baking soda and nutmeg and mix well. Preheat the oven to 375F and line two cookie sheets with parchment. With half the dough, scoop 10 balls onto the cookie sheets. Lightly press half a truffle into the centre of each cookie. 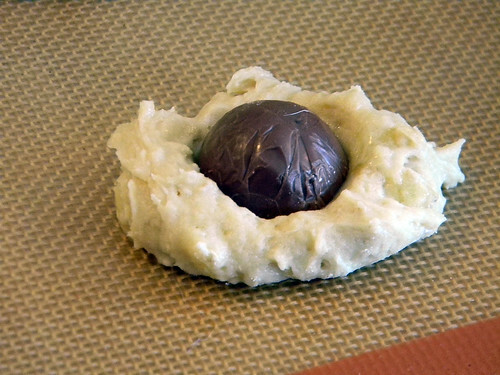 Top each truffle with remaining dough, spreading to cover the chocolate completely. Cool on the sheets at least 15 minutes. When Julia Child moved back to her home state of California in 2001, she donated the kitchen from her Cambridge, Massachusetts, home to the Museum. Bon Appétit! 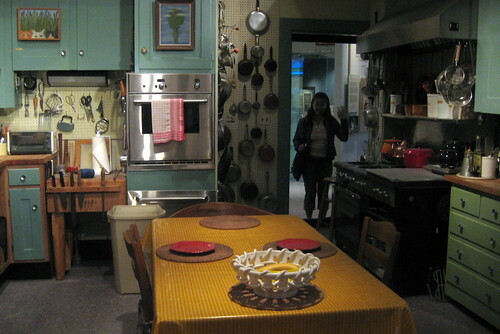 Julia Child’s Kitchen at the Smithsonian, an ongoing exhibitio, features the actual kitchen, including the cabinets, appliances, cookbooks, kitchen table, and hundreds of utensils and gadgets. 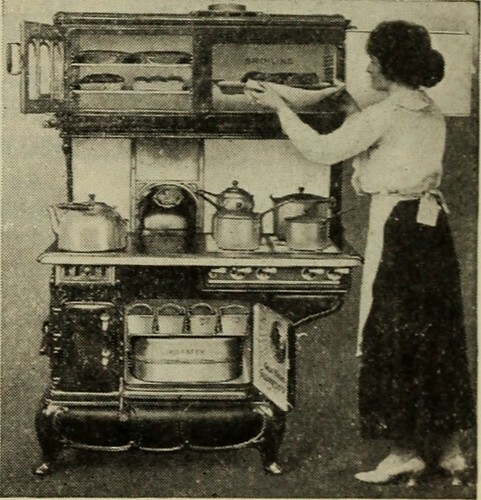 The exhibition gives visitors a peek into the working kitchen of one of the world’s best-known cooks, and explores how her influence as an author and host of several television series changed the way America cooks. The National Museum of American History (NMAH), administered by the Smithsonian Institute, collects, preserves and displays American heritage in the areas of social, political, cultural, scientific and military history. The museum, which first opened in 1964 as the Museum of History and Technology, is located on the National Mall in one of the last structures designed by McKim, Mead & White. It was renamed in 1980, and closed for a 2-year, million renovation by Skidmore, Owings & Merrill LLP from 2006 to 2008. The Smithsonian Institution, an educational and research institute and associated museum complex, administered and funded by the government of the United States and by funds from its endowment, contributions, and profits from its shops and its magazines, was established in 1846. Although concentrated in Washington DC, its collection of over 136 million items is spread through 19 museums, a zoo, and nine research centers from New York to Panama. The nation’s most trusted authority on heart-healthy living presents the third edition of this bestselling cookbook, with updated health information and 50 all-new recipes.